Ulead was a strong brand in video editing, so Corel (who bought Jasc's Paint Shop Pro) have acquired them to add to their software group. There isn't much difference between this and the previous version 10, but if you don't have a video editing package, then this will certainly provide all the tools needed to turn a boring family video into a slick presentation with titles, effects, music and a finished DVD with fancy menus. When you launch VideoStudio, the initial splash screen presents you with three simple options. The DV-to-DVD Wizard allows you to quickly grab video clips from a camcorder and burn them straight onto DVD. The Movie Wizard allows you to import a series of video clips and select a template that will automatically create an introductory sequence for you and then insert transitions between each clip. 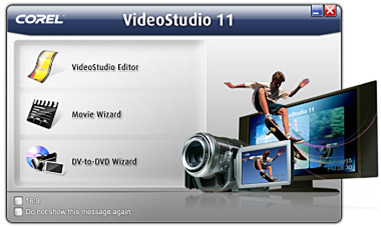 The Movie Wizard in version 11 has a few new templates that can create montage effects containing multiple video clips. If you're new to video-editing, you can use the Movie Wizard to quickly put together a project before moving onto the third option, which is the main Editor module. The VideoStudio interface, although not very different from version 10, has been tweaked. Most useful is the ability to increase the size of the timeline and reduce the Preview window. The Enlarge button fits all the tracks onscreen automatically, so you don't have to scroll around when using lots of overlays. You can also now add cue points to the timeline to help you find specific scenes in your edit. These can be used as chapter points when outputting the video to disc. The timeline has seven video tracks plus a title track, which should be plenty for most projects. Even though Premier Elements offers 99 tracks I doubt anyone uses that many. You can use a Picture-in-picture effect, resizing and distorting the picture. You can also resize footage if you only have the one video, but I found it a bit of a hit and miss affair, grabbing corners and pulling instead of specifying a particular frame size, like TMPGenc for example. A new colour-correction feature performed well in auto mode, with convenient manual controls for gamma, contrast, brightness, saturation, and hue. A new DeSnow filter worked well on a noisy video shot in low light, but the new DeBlock filter, designed to clean up video with blocky compression artefacts, didn't substantially improve the quality of the blocky clips I tested. I tried this with some poorly encoded VCD clips (the VCD frame size is a quarter of DVD) and some good VCD clips. Like with picture editing programs, there is only so much you can improve on. You cannot create a perfect clean video from a badly encoded original, just as you can't make a perfectly sharp image from a blurred photo. One major change that may seem subtle is the inclusion of a pause button when you are encoding your video. The software takes up all the resources of your PC when rendering the video, so you cannot do anything else. I found this most annoying on the previous versions, as there was not setting to allow it to render in the background, for instance. Other video encoders have this option, but don't have the ability to add titles and effects to the video. Now with the pause button it is possible to tell the program to wait whilst you do something else, like browse the web, check email, burn a disc, etc. If you have many effects added to your video it will take a while to produce the final output. The only time it will take a shorter time is if you are using the same type of file in your project as you want for the final video, and are only making small changes. The program will use Smart Rendering and only build the parts of the video that will change. 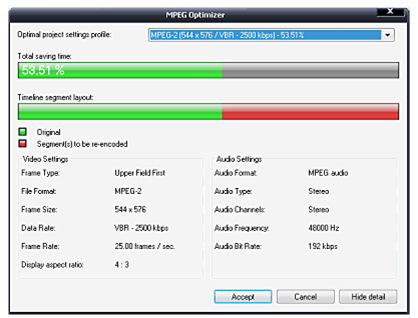 The MPEG Optimiser, effectively double-checks your editing before you encode the footage and audio together. It is of course only of use if all the clips in your project are mpeg files, and is disabled if this is true. It is strangely hidden in the Create Video File option of the Share Video section. There is support for high-definition content, so you can edit in HD as well as write to an HD-DVD optical drives. As I don't have any high def equipment I was unable to test this. Another new feature is the ability to create HD DVDcompatible discs on legacy DVD-R/+R drives, but as I have standard DVD players and a standard television, I couldn't test this feature (I do have a DVD player with a HDMI output and a projector with an HDMI input, but I've never bothered to get the cable to connect the two, as I'm quite happy with standard DVD resolution at the moment). If you don't want this feature, or the ability to encode to the H.264 MP4 format or export to an iPod, then you can get the standard version of the software. There is Vista Support for the latest-generation systems and Intel® Core 2 Duo support. 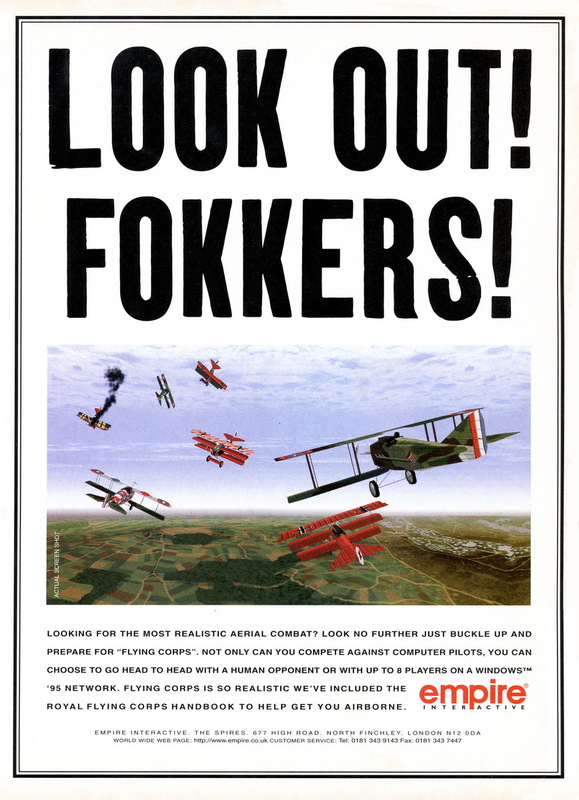 It is important to remember that all this talk of dual core processors in TV adverts and sales of computers only makes a difference to your PC system if the software is written to take advantage of them. My main problem with VideoStudio 11 Plus is that while all the new additions are worthwhile and appreciated, it's hardly a quantum leap over the previous version. If you've already bought last year's VideoStudio 10 Plus, only the MPEG optimiser and Pause button will immediately leap out as genuine new features.